For the first time in a while it was a relatively slow week for comics. While there were some great books out this week, my pull list was limited to two titles. I am happy to report that both of them were great. It felt good to return to Matt Fraction's Hawkeye and Letter 44 poured on the mystery and intrigue and cost a buck! Letter 44 - President Blades is about to begin his first term as the POTUS. He is following up a 2-term president who wasn't the most popular president to date. Constituents were not happy with the amount of money are resources he spent on unnecessary wars. I am guessing it is no mistake that this is similar to Obama following Bush into the White House. 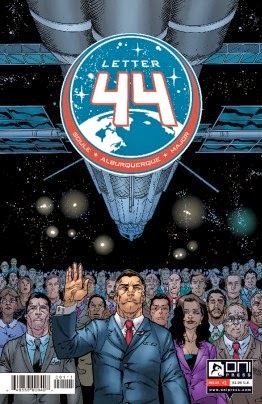 What should be a joyous occasion turns into one of uncertainty as he learns that seven years ago a mining operation was detected in the far reaches of space. A team of nine astronauts have been sent out to investigate and are about to lay eyes on the alien presence after three years of travel. Charles Soule's writing has a certain ease to it that makes everything seem plausible. I am curious to see how Blades handles things going forward and am anxious to learn more about the crew of astronauts that sacrificed everything for this mission. Definitely worth your time and it is only $1! 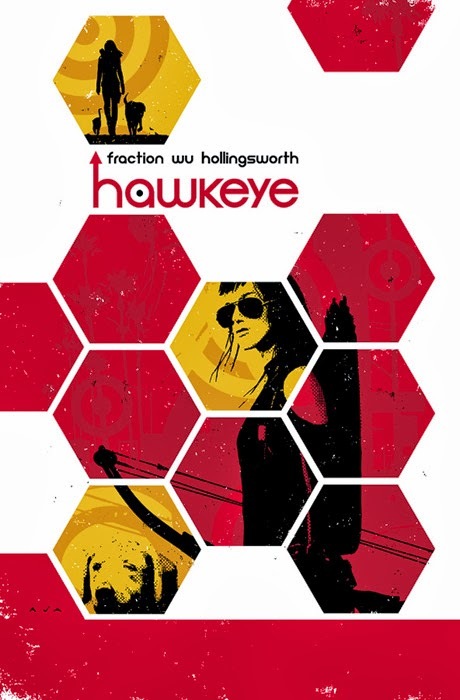 Hawkeye #14 - It does the soul well to have another Hawkeye issue penned by Matt Fraction. In a somber issue that includes Grills' funeral, we are treated to a very insightful issue and a personal glimpse into the psyche of Clint Barton. Fraction has a knack of humanizing Hawkeye and portraying him to be someone with a huge heart that genuinely cares for the loved ones surrounding him. It just feels authentic and I want to be Barton's friend. Reading this issue has me wanting to go back and reread this entire series.